This Custom Trapper style flipper from Brad Zinker is first-class in every way. 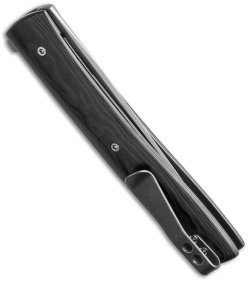 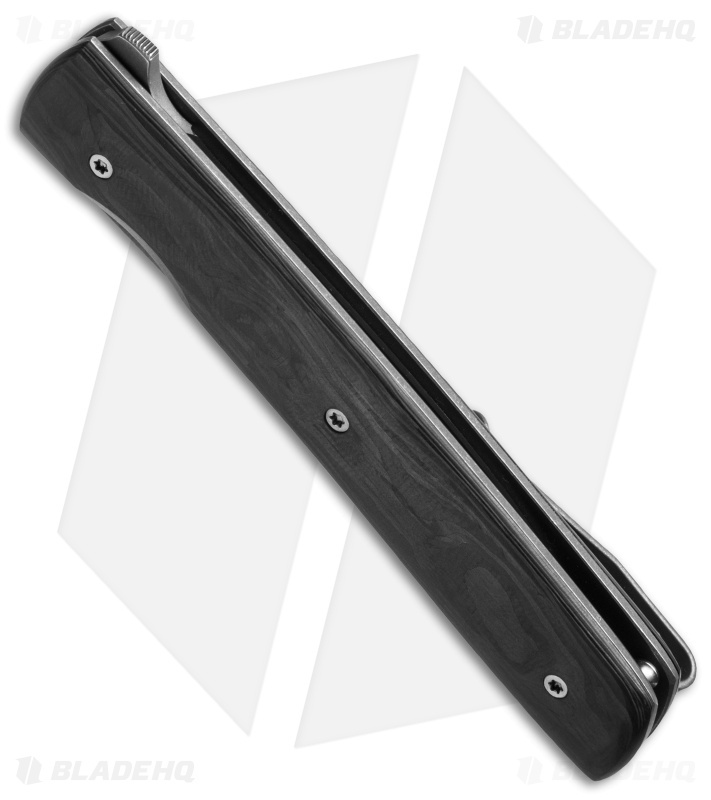 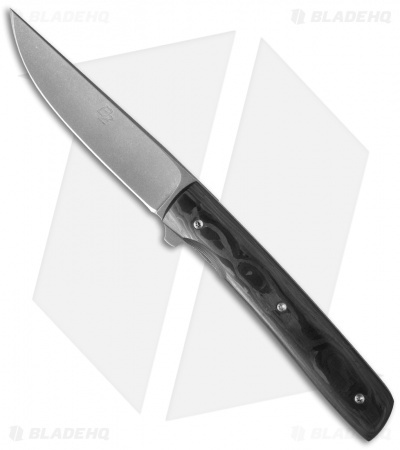 It features super lightweight unidirectional carbon fiber handle scales and sturdy titanium liners. The blade is bead blasted and stonewash finished with smooth flipping action. The tip-up deep carry pocket clip and smaller profile make this knife an excellent concealed EDC choice.